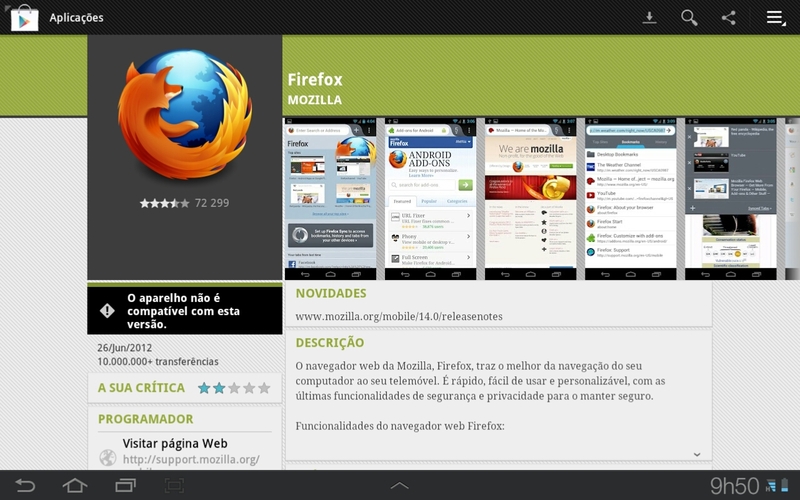 Mozilla just launched Firefox 14 for Android and I was eager to discover if the latest version was any good. Unfortunately, unlike what’s written in the system requirements webpage, Firefox 14 is in fact not available for the Samsung Galaxy Tab 10.1 running Android 3.2 as you can see in the picture below. This entry was posted on June 28, 2012 at 14:00 and is filed under Android, Firefox. You can follow any responses to this entry through the RSS 2.0 feed. You can leave a response, or trackback from your own site.